Consumers are supposed to be protected by law from dangerous defects in manufacturing or design of the products they use at home, in the community or on the job. Unfortunately, thousands of people are injured every year in Massachusetts while using a dangerous product that wasn’t designed, manufactured or labeled according to legal requirements. 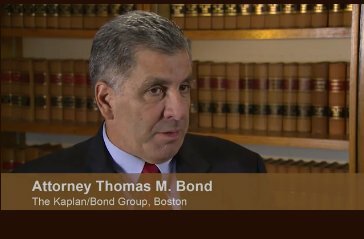 When a dangerous or defective product has injured you or a loved one, the experienced product liability trial attorneys at THE KAPLAN/BOND GROUP are ready to work hard to help you protect your rights. Personal injury and wrongful death claims are complex and often involve suing more than one party for your injuries. A defective product may involve the product designer, contract manufacturers, packagers and even distributors and sales agents. They are typically time-consuming and expensive for law firms to handle. We have the professional, technical and financial resources to handle the most complex kind of product liability case. From the moment we take your personal injury case, our trial team invests itself in you, your family and your future. Our investment involves more than a long-term commitment to your success; it also involves a commitment to the best tools and resources available. We perform thorough factual investigations and often consult with well-respected medical and industry experts. Have you been injured while using a product at home, in your car or at your place of work? You won’t know whether you can obtain compensation until you have spoken with an experienced product liability injury trial lawyer. Contact THE KAPLAN/BOND GROUP today. From our offices in Boston, we represent clients in communities throughout Massachusetts and nationwide.